We all need safety from violence and terrorism, but no government should sacrifice people’s human rights in the name of national security. Unfortunately, in the United States and beyond, that’s exactly what’s happening – and Amnesty International is helping stop it. On multiple fronts, the United States government is violating human rights in the name of national security, often in violation of both U.S. law and international law. People have been held for years at the Guantánamo detention camp in Cuba without even being charged with a crime. Prisoners have been tortured and mistreated, and they are not given fair trials. The U.S. has used lethal force, including through drone strikes, in several countries, leading to civilian deaths. Military operations have exposed civilians and U.S. service members to toxins that have led to devastating medical conditions. Surveillance and targeting of Muslims – based on who they are, not what they’ve done – has fueled harassment, discrimination, and violence. For years, the U.S. government allowed officials to torture people through horrific techniques that violate U.S. and international law. President Trump has vowed to expand the use of torture even further in the years ahead. Amnesty International helps expose and end national security policies that violate human rights. We’ve secured fair treatment for people in individual cases, we’ve helped force the government to release information about its activities, and we’ve played a key role in helping end practices that abuse human rights. The Trump administration has dramatically expanded the use of lethal strikes, including with drones, killing thousands of civilians and increasing the risk of unlawful killings. These killings often happen in secret, and many of them take place outside of traditional battlegrounds and in apparent violation of international law. Watch this video and Take Action. Our research uncovers individual cases of people whose human rights are violated by U.S. national security policies, and we campaign to secure their rights. We campaign to close Guantánamo and ensure accountability for torture. Take action to demand the transfer of Guantanamo detainee Toffiq Al Bihani. We’re fighting President Trump’s Muslim Ban and mobilizing grassroots activists to push Congress to intervene. Take action to stop the Muslim Ban. We mobilize grassroots activists to push for federal policies that protect safety and human rights together. E-mail us at [email protected] to get more involved. Are you an Educator? Use our National Security in Human Rights Toolkit in your classroom. Number of people detained at Guantanamo by the end of January 2018. Number of protests Amnesty International USA held in the weeks after President Trump issued his first Muslim Ban. 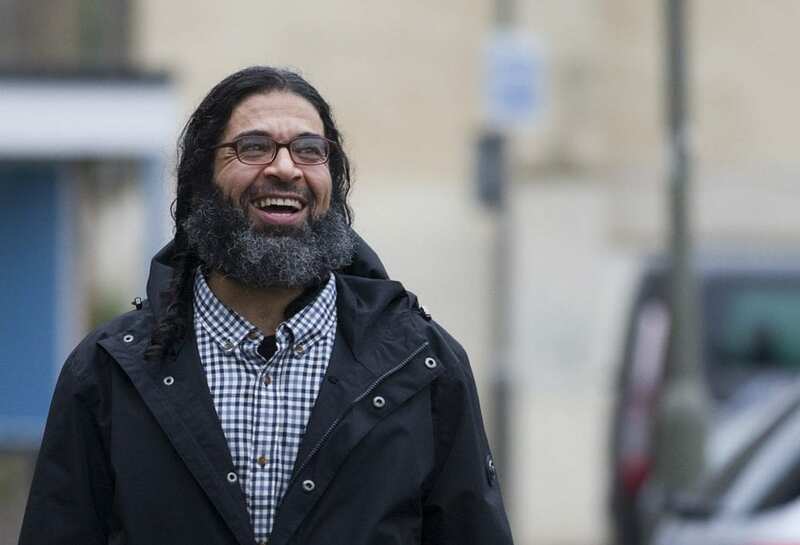 In 2002, Shaker Aamer, a U.K. resident and father of four, was one of the first people sent to the notorious makeshift prison the U.S. started at Guantánamo Bay, Cuba, after the September 11, 2001, attacks. Shaker was born in Saudi Arabia; he studied in Georgia and Maryland, and he worked as a translator for the U.S. Army during the Gulf War. Shaker always maintained his innocence. He said he was subjected to torture for years. He was cleared for transfer out of Guantánamo in 2007, indicating that authorities had no plans to charge him – but he was not released. Amnesty International campaigned aggressively for Shaker’s release for more than a decade – mobilizing thousands of people to write letters, directly advocating with the U.S. and U.K. governments, and working closely with his family and attorneys. Finally, in October 2015, Shaker was flown to the U.K. and freed. He had been imprisoned for 13 years without being charged with a crime.